The father of the young Ohio man arrested by the FBI for allegedly planning to attack the US Capitol said that he believes his son was “coerced” by a law enforcement “snitch” and was “at peace” as a practicing Muslim. John Cornell told various media outlets that his son was definitely set up by the FBI: “I believe that this so-called snitch filled his head with a lot of this stuff,” he said. The “snitch” was allegedly an FBI informant who helped the agency keep tabs on 20-year-old Christopher Cornell, who reportedly posted sympathetic comments regarding the Islamic State (formerly ISIS or ISIL) online and supported violent “jihad” against the United States. Following Christopher Cornell’s arrest in Ohio last week, news of his foiled terror plot – and the father’s accusations against the FBI – has been raising questions among some about the announcement’s timing and potential FBI entrapment. Cornell was said to have been planning to detonate pipe bombs at the Capitol building in Washington, D.C., where he would also open fire on any employees and officials fleeing after the explosions, according to government documents. In the run-up to his arrest, officials say Cornell was in the midst of making travel arrangements, and had already bought two semi-automatic weapons and hundreds of rounds of ammunition. Cornell’s parents, however, say their son had a normal childhood and they were shocked by his arrest. The FBI is said to have first noticed Cornell in the Summer of 2014, when an informant notified the agency that Cornell, under the alias Raheel Mahrus Ubaydah, was voicing support for violent jihad online. The FBI informant met with Cornell on several occasions. During those occasions, Cornell allegedly told the informant that US lawmakers were enemies and that he wanted to launch an attack on the Capitol in Washington. John Cornell insisted Monday that there is no way his son could have thought up a terror plot on his own. “He told me he had went to a mosque and now I know, in hindsight I know, he was meeting with an FBI agent,” he told NBC News. During an interview with Daniel McAdams, the executive director of the Ron Paul Institute, RT’s Ben Swann asked whether news of Cornell’s arrest – coming on the heels of violent terror attacks in France and continuing concerns about the Islamic State – indicated that there has been a timing issue with these kind of foiled terror plots. Swann makes reference to an investigative report by Mother Jones from 2011, titled “The Informants,” which asked whether the billions of dollars spent on domestic counter-terrorism efforts by the FBI was busting terrorism plots or creating them. Swann asked McAdams just how troubling it is that informants are paid or are coerced into finding potential terrorists. 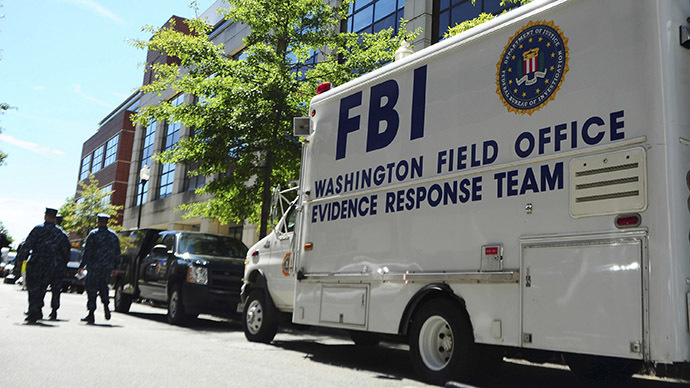 Past stings have also sparked entrapment accusations against the FBI, but the agency claims that such stings are vital for averting deadly terror attacks, the Associated Press reported.